An auto body shop, as well as the apartment above it in Cohasset, Mass. was destroyed by a fire on Thursday afternoon. 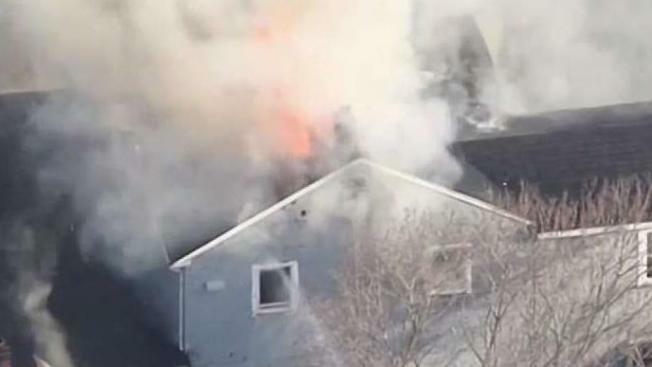 Flames tore through an auto body shop in Cohasset, Massachusetts on Thursday afternoon destroying the business and an apartment upstairs. Firefighters say mechanics at Hajj Auto Body Care, located at 147 South St., were working on a car outside when they saw smoke coming from one of the garage bays. The fire spread quickly, and it was especially dangerous, with ammunition and chemicals inside. 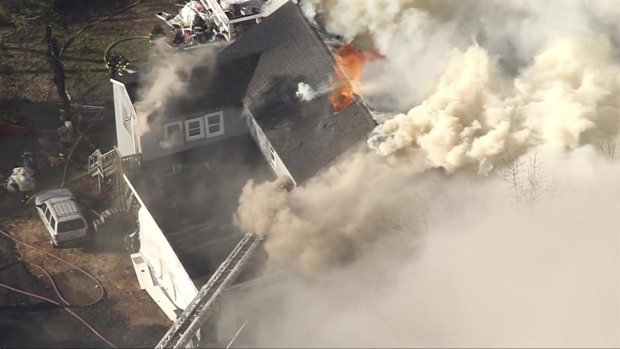 NBC10 Boston Sky Ranger over the scene of firefighters battling a blaze in Cohasset, Massachusetts. Oil from the garage spilled into the storm drain system creating a hazmat situation, which led authorities to try and contain the damage, according to Assistant Cohasset Fire Chief John Dockray. The fire grew to 4-alarms involving fire departments from the neighboring communities of Scituate, Norwell, Hingham and Hull.